3. Top Main Text Ad. 4. Bottom Main Text Ad. 7. Contact a marketer for Special Ads. A-3,4. Sub. Right-Upper/Bottom Box Ad. Position All Articles without Picture. A-8. Article. Right-Bottom Grand Ad. M-2. Mobile Bottom Box Ad. 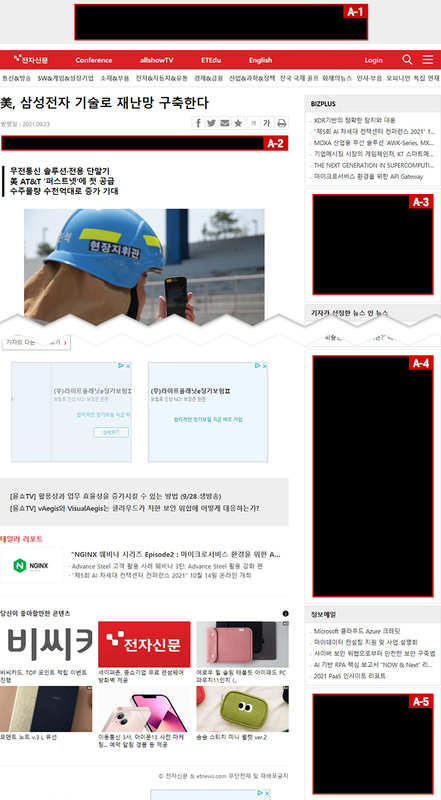 All banner ads on ETNews website are provided by 'Refresh' method. 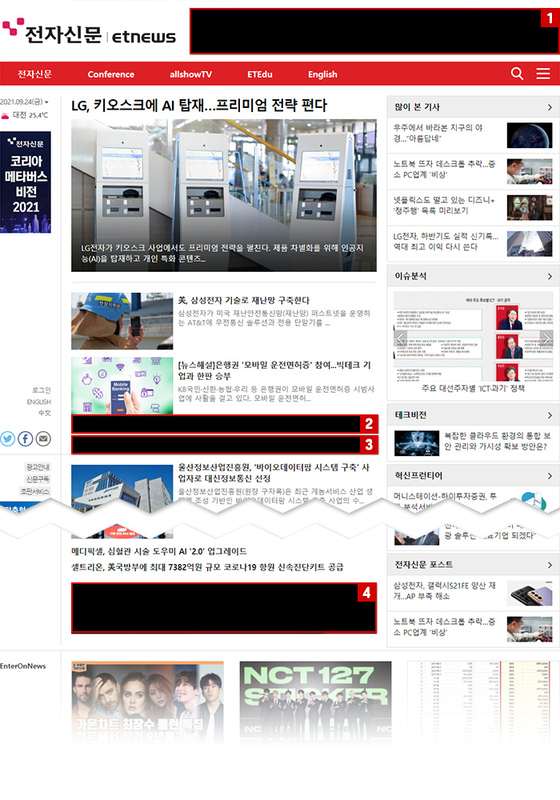 It means multiple banners are shown at the same position.